When you decide it’s time to start searching for a new car, you have a lot to figure out. The first thing you should decide on is the brand of vehicle you want, and if there’s a dealership near you that’s not too far out of the way. 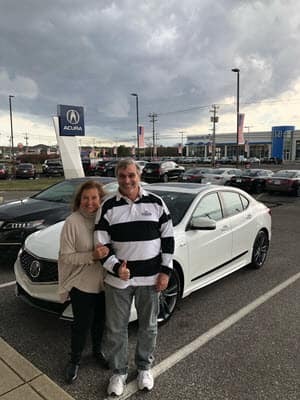 While there are plenty of different makes and models out there, Acura has stood the test of time, delivering high-quality machinery and expert craftsmanship. 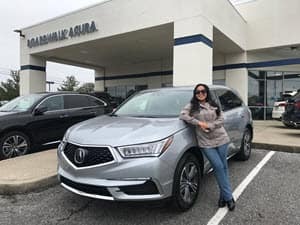 So, if you’re itching to get behind the wheel of one of these vehicles, you’ll need to ask yourself, “Where can I find an Acura dealer near me?” Luckily, drivers in the Egg Harbor Township, Atlantic City, and Vineland areas don’t have to travel far because Boardwalk Acura is here to help you. Even though there’s a NJ Acura dealership near you, you don’t have to make the trip just to get started on checking out the different models. You can actually get comfortable at home and do most of the leg work on your computer. Our entire new and pre-owned Acura inventory can be viewed on our website. You can save yourself some time by browsing our fully-stocked inventory to look for your next car. You’ll be able to check out models like the stylish and efficient Acura ILX, the agile and fun Acura RDX, or even the spacious and sophisticated Acura MDX, along with many other great models to choose from. Choosing an Acura is a wise move due to the great ratings and reviews across the board. They almost always make the top picks on automotive consumer sites. As you search for an “Acura dealership near me”, we know that great customer service is one of the benchmarks in the automotive sales world. Our goal is provide each and every one of our drivers with a fun, unique, and memorable experience. The beginning stages of your car buying journey is exciting, and our team is here to help you every step of the way, from entering our showroom until closing the door to your new car before you drive off in style. When you arrive at our NJ Acura dealership, we’ll gladly get to know you so we can make recommendations that are relevant. After you’ve looked around, and found a vehicle that you like, we’ll hand you the keys so you can experience it for yourself with a test drive. When your hands are on the wheel and your foot is on the pedal, you’ll get to know the vehicle very well. When you’re taking the test drive, you can sense the style just as well as the performance. Before you even put the vehicle in park, you’ll know if you’ve just experienced your new car. Nothing makes us happier than to see the look of joy on a driver’s face the first time they drive their new car. Boardwalk Acura is conveniently located a short distance away from the Egg Harbor Township, Atlantic City, and Vineland areas. The next time you ask yourself, “Where is there an Acura dealer near me,” your answer is Boardwalk Acura.